The exhibition will focus on the image of the female and its history. It will engage with the nuances found in classical forms that are carried throughout history and into modernity. The paintings will specifically respond to the representation of the female form in popular culture and its relationship to the past through the medium of painting. They are conceived within the context of mythological antiquity and classical renaissance painting and sculpture. Through this method the purpose of the female image throughout history is considered objectively and will deal with historical and contemporary beliefs regarding the female form. 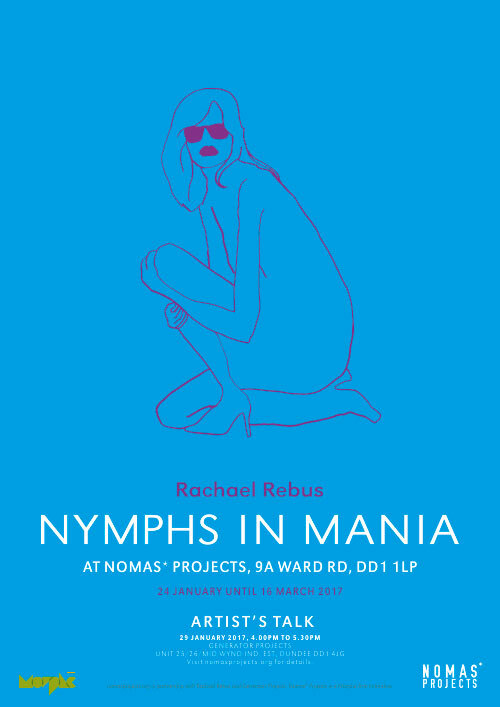 Rachael Rebus was born in Edinburgh and graduated from DJCAD in 2010 before completed her training with Turps Banana Art School in 2014. Since then she has continued her practise and has exhibited throughout the UK. Previous project: ← "Santa Baby"